Obituary - Ida Cohen - Bentz Funeral Service, Inc. Donations in memory of Mrs. Cohen may be made to Temple Beth El, 2710 Genesee Street, Utica, NY 13502. 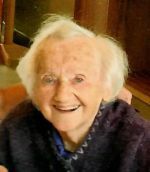 Ida Cohen, 99, of Utica and Old Forge, passed away Monday, April 8, 2019 at her home. She was born March 31, 1920, in Utica, the daughter of the late Wolfe and Eva Case Alpert and was a graduate of UFA. On December 31, 1939, in Utica, she married Meyer Cohen. He passed away December 30, 2000. She and Meyer's hobby of glass working lead to the development of Meyda Lighting. Besides being the co-founder of Medya Lighting in Yorkville, she was the originator and current owner of the Nutty Putty Mini Golf in Old Forge and along with her husband, formerly owned and operated Quickie Steak Packing Co. in Utica. She was a member of both Temple Beth El and Congregation Zvi Jacob. Ida was a hard working and driven business woman with a strong work ethic and a no-nonsense attitude. She was a great cook, master of many delicious Jewish recipes which will never be duplicated by any cook ever again. She is survived by three children, Neil Cohen of Old Forge, Bob (Ellie) Cohen of Old Forge and Susan (John) Shabo of Teaticket, MA; a sister, Thelma Blumberg of Israel; six grandchildren, Mindy Cohen, Jeffrey Cohen, Andy Shabo, Chester Cohen, Max Cohen and Ben Cohen; four great grandchildren, Ari, Meyer, Miriam and Leah; and nieces and nephews. She was predeceased by three brothers, Manny, Nathan and Louis Alpert; and her daughter-in-law, Muriel Cohen. Graveside services were held Tuesday (yesterday) at Temple Beth El Cemetery, Whitesboro, officiated by Cantor Kalman Socolof. Shiva will be observed Wednesday (tonight) and Thursday from 6-8 pm at her home, 2644 Dunham Road, Utica. The family wishes to express their sincere gratitude to Helen Barnett, Jo Brand, Amy Williams and Debbie Spitusi for the wonderful care they provided to Ida the past few years. Donations in memory of Mrs. Cohen may be made to Temple Beth El, 2710 Genesee Street, Utica, NY 13502. Arrangements are with Bentz Funeral Service, Inc., New Hartford. We are so sorry for your loss. The positive impact Ida made on the communities of Whitesboro and Old Forge will remain as a legacy to be proud of. Our thoughts are with you at this time.